A thirty-minute board gameTiny Epic Galaxies is a pocket-sized game of science fiction conquest! Send your empire's ships out through the void, colonize new planets, spread your culture, and initiative diplomatic relations with other empires. The game revolves around dice rolling, but the order that dice are activated is up to the player, letting you surprise your foes with sudden combinations! As players spread their influence through the tiny epic galaxies, colonizing new planets will give you new abilities and upgrades that improve your empire. 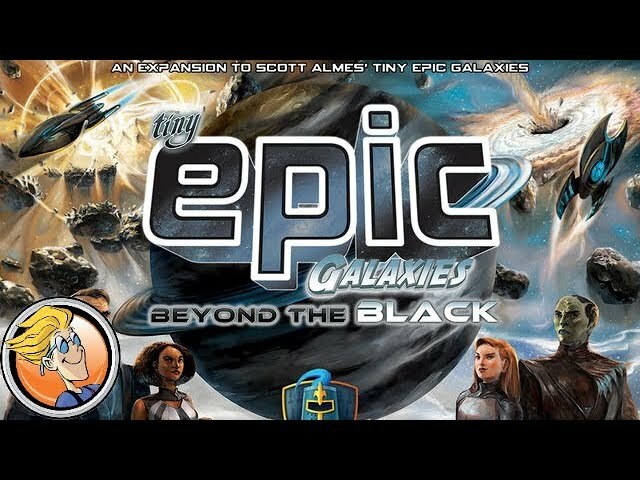 Buy Tiny Epic Galaxies for a universe-spanning experience that plays super fast.